The Matadors will host New Mexico in CSUN’s home opener on Friday followed by Utah Valley on Sunday. Currently at 1-0-1 with an even goal differential, the team looks to build momentum with the home stand after a shutout win over San Jose State last Sunday. The Lobos will travel for the first time this season after posting a win and a shutout loss to two ranked teams at home early in the schedule. Utah Valley comes in at 2-0-0 with consecutive 4-0 wins. 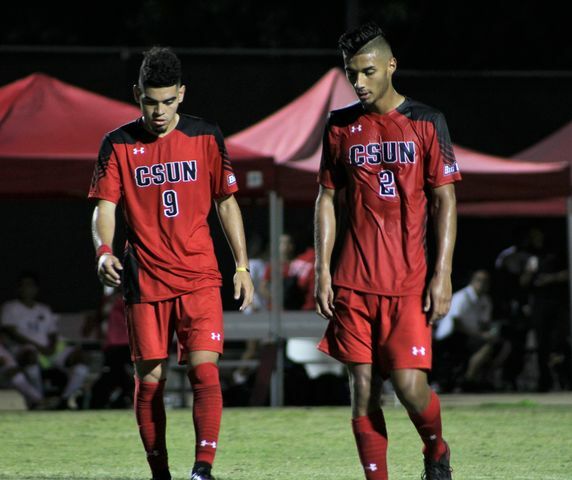 Winning these games could give CSUN some momentum before the team travels to face No. 3 Washington next week. The Matadors return home with a 1-1-1 record to face off against UNLV on Thursday at 7 p.m. after earning their first win of the season Sunday over Portland State. Redshirt freshman Alyssa Aguilar has already recorded three assists on the season while forward Bethany Fitzsimmons leads the team in points with two goals. Both of Fitzsimmons goals have come off an Aguilar pass. After a hot start, UNLV is currently on a winless road trip with one final stop at Northridge. The Matadors will head on a three game road trip following the home game. After a bumpy start to the season, the team started to find a rhythm while completing the Hornet Invitational. The Matadors will return home with 1-2 record to face North Texas Friday, Aug. 31 in the Matadome for the home opener at 6 p.m. CSUN will play again at home against the Idaho Vandals on Saturday, Sep. 1. Outside hitter Aeryn Owens has stormed out of the gates for the Matadors. The senior tallied 53 kills over the weekend to move her into tenth place of all time in the CSUN record books. Owens currently sits 19 kills away from ninth place and is sure to keep moving up the list this season. Both North Texas and Idaho come into the CSUN-Pepperdine Challenge with records above .500, but this weekend will pose a challenge for them both as visitors in the Matadome.